The crypt of Treviso Cathedral dates to the 12th century. 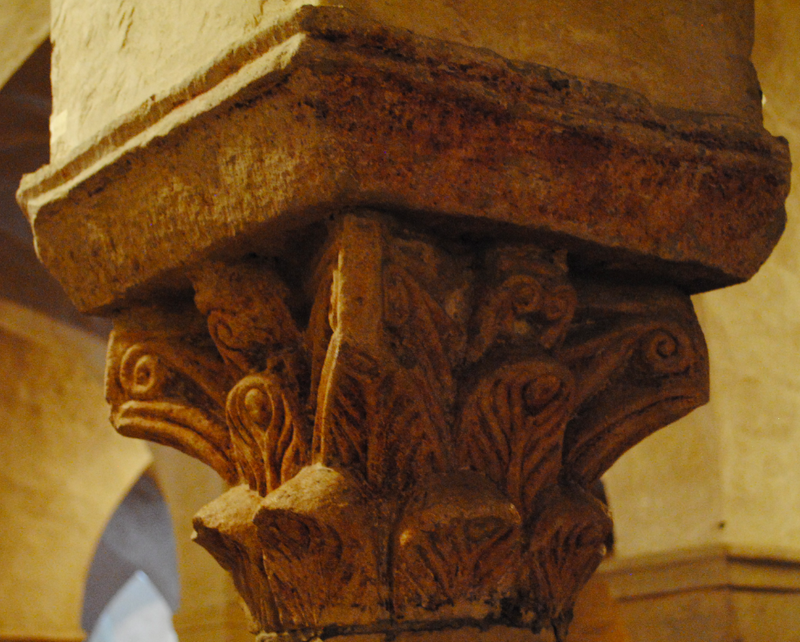 The crypt has a cross vaulted ceiling supported by column capitals of varying detail and decoration. The Romanesque crypt incorporates stonework from the previous religious building which once stood on the site. 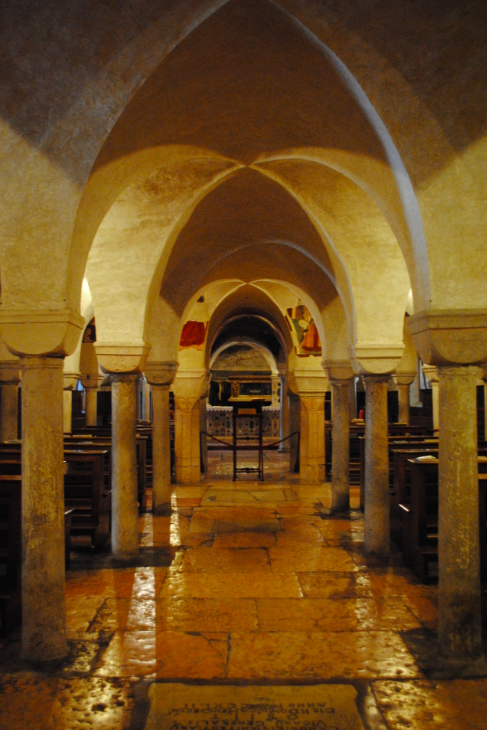 The crypt has tombs of former bishops which are surrounded by 14th century frescoes which adorn the walls. Richly decorated capitals provide a contrast to the many cushion capitals supporting the ceiling.